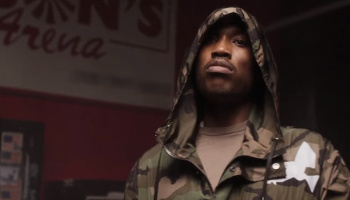 Home / Meek Mill / NEWS / Judge Denies Meek Mill Bail, "He's A Danger To The Community"
Judge Denies Meek Mill Bail, "He's A Danger To The Community"
"Shout-out to that judge that denied me my bail. It made me smarter and made me go harder," - Lord Knows. It feels like Meek Mill has lived this life before and like he did the last time, he'll come out stronger. The Philly rapper has been denied bail by a Philadelphia judge because he is a "flight risk." TMZ reports that the judge in charge of his hearing, Judge Genece Brinkley has denied the Dreamchasers rapper a chance at freedom because she feels he's "a danger to the community." One of Meek's attorneys, Joe Tacopina says he plans to appeal her ruling, saying the decision "Continues her long pattern of unfair treatment" towards Meek. She also accuses the 30-year old rapper of giving a false address to the police and his probation officer. A claim the Philly rapper's legal team has shut down. Meek's legal team believes Mrs. Brinkley's grievance with him stems from his refusal to give her a shout out in a Boyz II Men song she wanted him to remake. They also claim she wanted him to switch management from Roc Nation to her friend's management company. Meek Mill was sentenced last month to two to four years for violating his probation from a decade old gun and drug case.